If you are living in pain and need relief, turn to a professional physical medicine practice that will give you the results you need. Relieve your pain and stop living in discomfort by getting help today and begin your multi-disciplinary approach to pain relief. Our certified staff will treat you with the most professional and courteous care available. 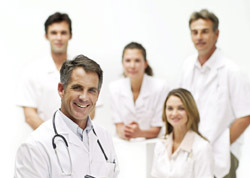 We offer a number of medical and chiropractic services, we treat a diverse range of conditions. You’ll also get a wide array of care options when you choose us. Our Physical Therapy department accepts orders from physicians outside of our office.